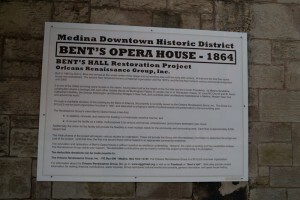 Medina is under construction. 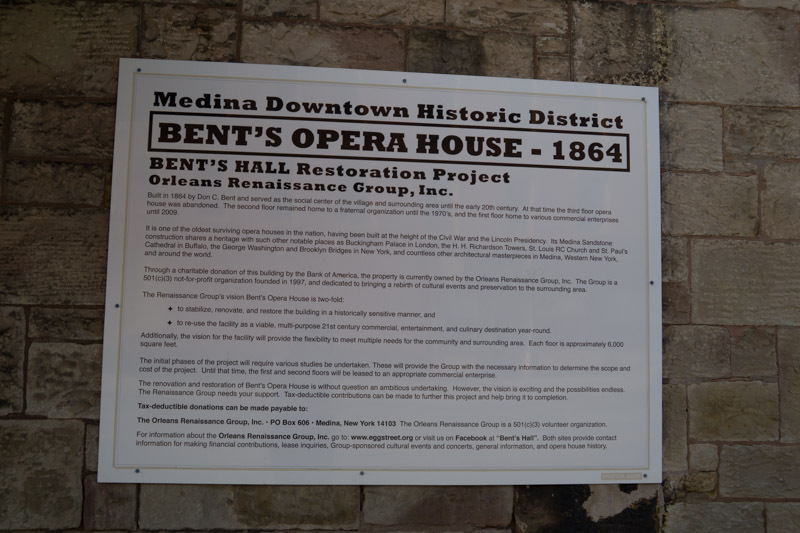 The 1864 Bent’s Opera House is being restored, hopefully to its original glory. 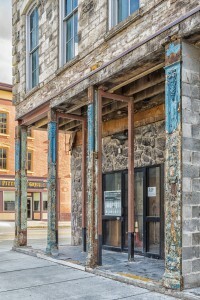 We look forward to seeing the progress on our next visit. 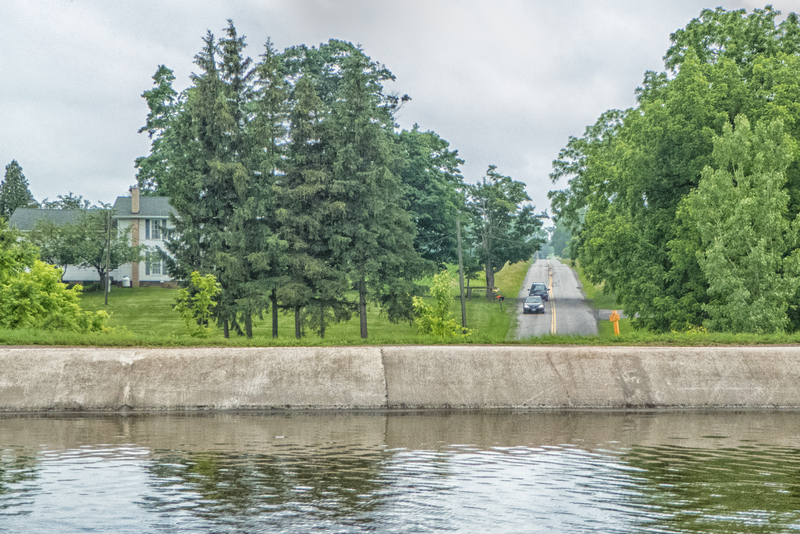 In some places the Erie Canal goes over roads, exactly as the roads go over the canal on a bridge. This bridge, or aqueduct, is at Culvert Road, just before Medina. We stopped the boat, doubled back, and paused a few minutes while the car drivers got up their nerve to drive under the Canal. While this third version of the Erie Canal was built and designed by engineers, other sections of the original canal exist with similar Canal bridges built in the days before there were trained engineers. I suppose they learned from the Romans. 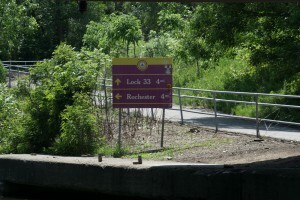 The Erie Canal has been “converted” from the primary commercial transport facility in New York area to a hiking trail made from the old mule trail. People hike the trail and camp along the Canal in many pocket parks provided, usually free, for campers, hikers and bikers. 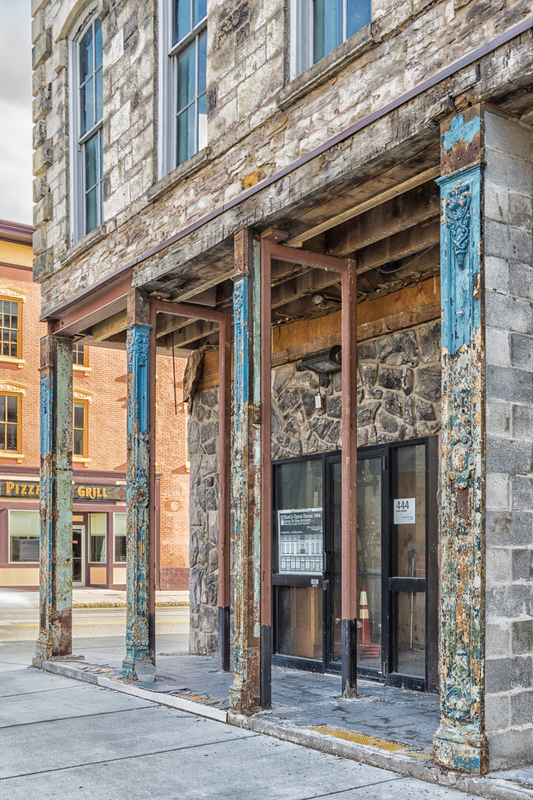 Downtown Medine had block after block of restored and maintained old buildings still serving the community as they had done for over 100 years. 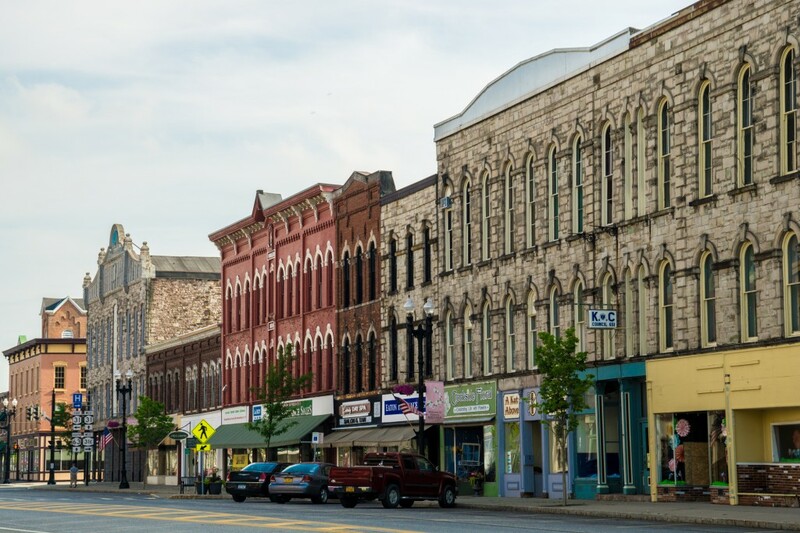 The town was decorated, the people were lively, with everything appearing prosperous. 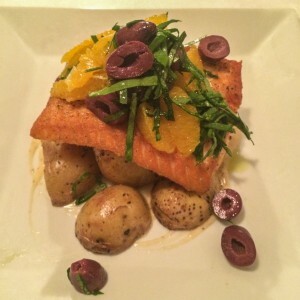 Located in the middle of downtown Medina on Main Street, Zambistro was truly fine dining with table cloths, nice looking flatware and superior presentation. Fresh vegetables including a fresh olive appetizer and fresh sea bass gave us an unexpected diversion from the many very good meals to our one truly excellent dinner. 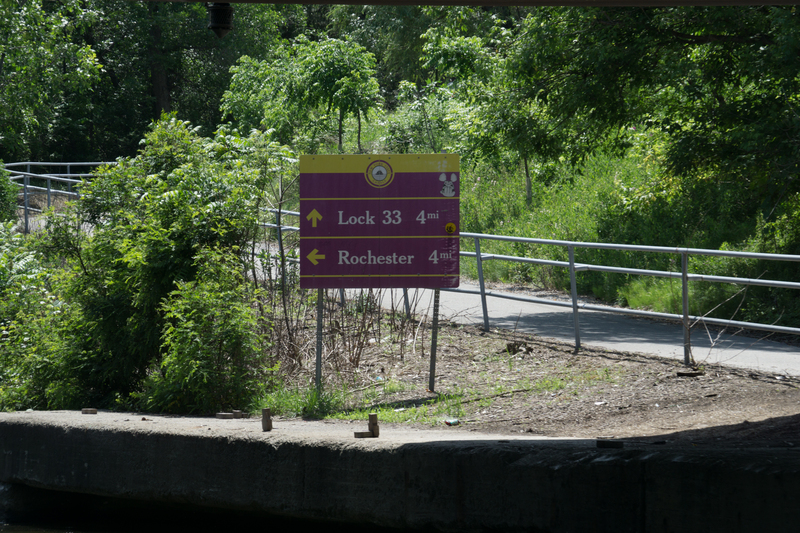 If you happen to be out for a day sail on the Erie Canal, this is one place not to miss. Zambistro was truly fine the best meal of the week with the fresh vegetables and fresh sea bass being the best of the best.